Designs match certain windows in "Prairie Designs" book. Instructions for enlarging to 14" and 16" shades. 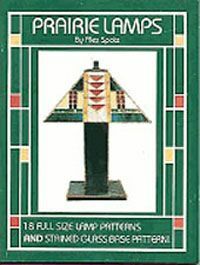 Includes: 18 full size patterns for 12" square Prairie lamp shades.